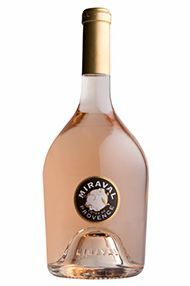 Château Miraval is located close to the ancient town of Correns, just to the north of Brignoles right in the heart of Provence. The property is, if you will forgive the hyperbole, pretty much as close to paradise as it is possible to be, a terraced oasis nestling in the forests and scrub of the Mediterranean. 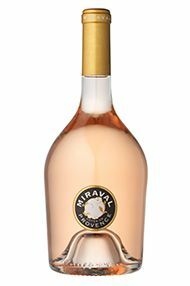 Its history goes some way to explain the magical aura which pervades the valley; located close to the Roman road Via Aurelia, Miraval was the site of a monastery in the Middle Ages, thereafter a refuge for the Bourbon kings. More recently, it has been a peaceful retreat for latter-day troubadours, its recording studio tempting the likes of Sting, Sade and Pink Floyd to record some of their finest work over the years. Inspiration is clearly not hard to come by here. The latest incumbents are no strangers to fame and fortune; not only is Miraval the summer retreat of Angelina Jolie and Brad Pitt, but it is also the winery where they have launched a joint venture with the Perrin family of the renowned Château de Beaucastel in the Rhône Valley. 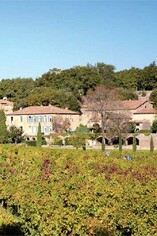 Capturing the essence of Provençal charm, the epitome, perhaps, of Matisse’s “luxe, calme et volupté”; the Perrin family (of Château de Beaucastel fame) continues to provide the expertise and winemaking skills at Miraval – which delivers year in, year out. Their 2017 rosé is gloriously pale, dry and pure. Aromas of wild raspberries and redcurrants play against a herbal backdrop. Utterly refreshing, the wine’s graceful texture is balanced by red-cherry acidity, with notes of strawberry and fennel on the mid-palate. It’s perfect summer drinking (especially in large-format).